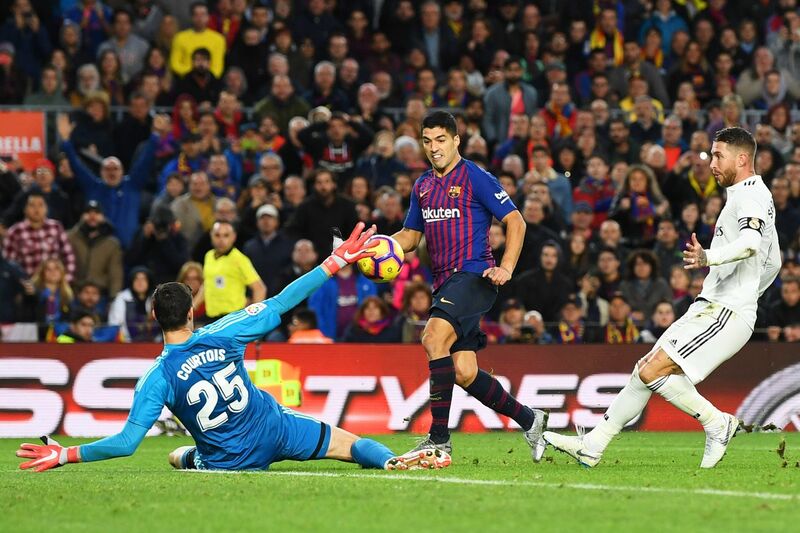 Recap of the action from Barcelona?s spectacular win against Real Madrid In the first El Clasico of the 2018-19 season, Barcelona pummeled Real Madrid, scoring five goals while conceding just the one. Even with Lionel Messi on the sidelines, Real?s defense struggled to contain Barcelona?s attacks. Philippe Coutinho opened the scoring but the Catalans were led by a Luis Suarez hat-trick. Barcelona ran into some trouble early in the second half, but ultimately ran over the visitors with Arturo Vidal also scoring late in the game. With the magnitude of the match it was expected neither manager would be doing any experimenting and that proved to be the case, with Ernesto Valverde going with Rafinha on the right side once again.